B110 where like [guratsuto] is just looks at the [da] car is complete * < the hand entering, is finished enormously cleanly. * The over wing you wipe, and others is attractive. * [sanitora] which attaches the S14 diversion wing on the rear did. 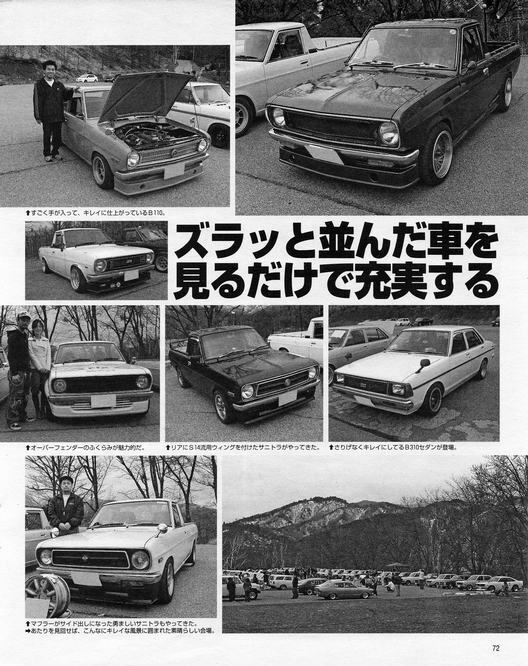 * The B310 sedan which has been made clean without the [ri] [ge] appears. * You did also brave [sanitora] where to the MIRV raga side it put out and became. * If hitting was looked around, the splendid meeting place where it was surrounded in the so clean scenery.